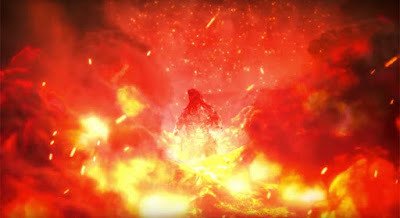 Toho Animation has released the first official teaser for Godzilla: The Planet Eater. The third chapter of the successful anime series that launched in Japan earlier this year, Godzilla: The Planet Eater looks to tease the arrival of famed Kaiju baddie, King Ghidorah. Godzilla: The Planet Eater arrives on Netflix Friday, November 9th. Are you excited for the final chapter?